A severely malnourished child in Dagahaley. Hundreds of Somali refugees are arriving each day having fled drought, famine and civil war in Somalia. Antonia Sohns is an analyst at the World Bank. She writes this article in her personal capacity. Bertelsmann Stiftung’s Transformation Index, BTI 2016, is available at: bti-project.org. 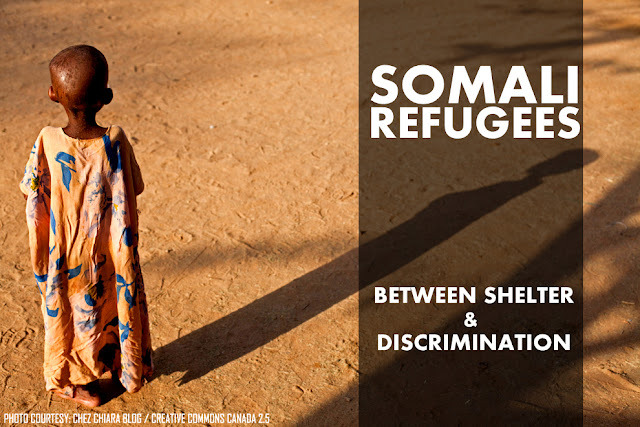 Somali Refugees: Between Shelter and Discrimination by Antonia Sohns is licensed under a Creative Commons Attribution-NonCommercial-ShareAlike 4.0 International License by United Nations University's One World Blog.